Remodeling the kitchen is a fun project for homeowners. Not only does it help improve the value of their home, but it is inspiring to recreate a well-used space. There are so many directions a client can take a home remodeling project. No matter where those lead you, the team at ProSource® of Pinellas County is here for you, our trade professionals, and your homeowner clients. 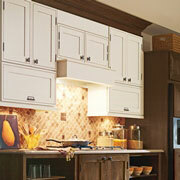 We can help any trade pro and their clients find top-notch kitchen remodel products at low wholesale prices. We do this through our partnership with nearly 150 other showrooms throughout North America. This large buying power and stock inventory means we have an incredible variety at unbeatable deals. These cost savings are passed directly to you. Here is a sample of the kitchen remodel products we can offer. Kitchen cabinets can be both simple and elegant. This upgrade to the kitchen is often most noticeable, in addition to floors and countertops. From overall cabinet design to the specific measurements, trade pros can depend on ProSource to deliver. 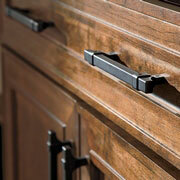 A cabinet wouldn’t be complete without the right hardware to top it off. ProSource has an expansive collection of different knobs and handles in any color and material imaginable, and our account managers can help your clients sift through product inventory to find the right ones for the job. What would be a kitchen without countertops? Probably just any other room. 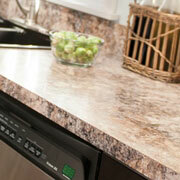 Granite, quartz, and recycled materials are just a few of the types of countertops we can source for our pros. The color and pattern possibilities are endless. Like the cabinets, we ensure proper measurements and cuts for these precise remodel elements. 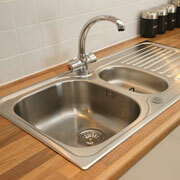 The kitchen sink: It’s essential to the overall function of the space. From a traditional two-basin sink to an elaborate trough, ProSource has the product inventory to make this a special piece in the kitchen. A faucet is the finishing touch to the sink because they need each other. 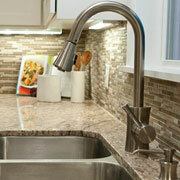 Some kitchen designs have more than one faucet, and ProSource can deliver. Choose from the traditional knobs and water spout to pot fillers, spray nozzles, and more.